It’s Day 3 of our Advent Calendar and the first advent Sunday! Today we are travelling to Rome to meet a figure we would be more likely to associate with Halloween rather than Christmas… La Befana! Did you miss our first two posts? Check them out here and here. La Befana is the Italian Christmas witch who brings presents to all the good Italian children and lumps of coal to the naughty ones. La Befana is said to ride a broomstick through the air on the eve of the Epiphany, entering houses through the chimney and leaving her presents in the socks left out by the children. Though depicted as dressed in rags and covered in soot, la Befana is actually an excellent housekeeper and if the family leaves her a little token, usually a glass of wine and a local treat, she will even sweep the house with her broomstick. While la Befana is celebrated throughout Italy, the Christmas witch has a special place in Rome. On Piazza Navona there is a popular market every year, selling candy, toys and sugar charcoal. It is even said that la Befana will appear on the market at the midnight of January 6th, though beware, the legend also says that whoever sees la Befana will get a thwack from her broomstick! Rome Spiral Guide: “It’s difficult when you’re visiting somewhere for the first time and only have a short amount of time to experience it. How are you meant to prioritise what to do? Should you just hit the big time high profile sights? Try to go off the beaten path? Well this is the predicament I was in when I visited Rome last month. My Anchored cruise was departing on the Sunday and I decided to fly in on the Friday night so I could enjoy a full Saturday of Rome goodness. So essentially I needed to experience Rome in a day… I mean I know Rome wasn’t built in a day so presumably it would be difficult to see it all in a day, right? Enter my brand new and shiny Marco Polo Spiral Guide to Rome. To maximise my time, I thought I’d try out one of their ‘Perfect Day’ itineraries to make sure I was making the most of this glorious day. And it really was glorious, it was 33 degrees celsius on this particular day. Not the ideal temp for walking around in the boiling sun all day, but hey, I went with it. There are several day itineraries in the guide but I decided to go for the ‘Ancient City’ variation. Mainly because it included the Colosseum and I’m basic like that. But also because it looked like it had a good mix of the big sights I had heard of and under the radar gems.” See the full post here: heelsinmybackpack.com. Brussels Pocket Guide: “My favorite parts of their guide were the Do’s and Dont’s of Belgium (particularly the driving laws of the city), the useful phrases section both in French and Dutch, and their Discovery Tours suggestions. For this review we did a little bit of a mix and match of their Discovery Tours section, given that we had the baby with us and we wanted to go around by public transportation. We were also very relieved that the restaurant suggestions all come with the place’s schedules. Restaurants in Brussels are usually not open on Sundays, and only open during lunch time or dinner (ex. 12-2, and 6-9pm). Luckily, the park we visited had a festival that particular weekend and it was filled with food trucks!” Read more on thesunnysideofthis.com. London Spiral Guide: “I had a lovely 48 wandering London and used my trusty guide to keep me heading in the right direction and I came across so many lesser known shops, cafes and restaurants because of this. 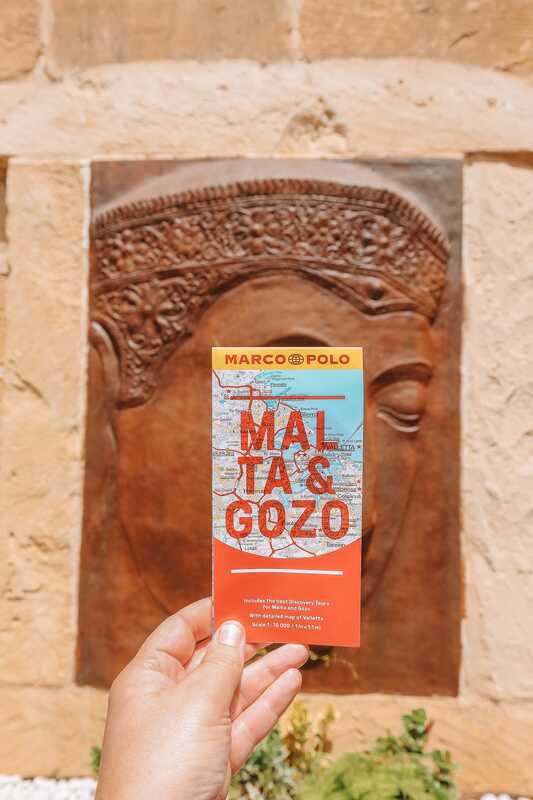 Marco Polo Travel Guide books trump other equivalent maps because each time the book mentions a place, whether it’s a cafe, bar or landmark, it also makes sure it references the map co-ordinates too so that you can find the place super easy. BINGO!” See the full post on sophiessuitcase.com. Paris Spiral Guide: “We also sat down with a cup of tea and planned the next 48 hours of our lives, in beautiful Paris! I don’t know why but I hadn’t really asked for tips and tricks from the internet and instead was relying solely on my new Marco Polo Travel Guide to get us from one spot to another. As we were only going to be in Paris for 48 hours we circled the places we really wanted to visit, and then crossed a few others off the list that we would save for another trip. We mapped out our route for the days and used the book to find out opening times, entry prices and how we would get there.” Read more on sophiessuitcase.com. Dublin Spiral Guide: “If it’s your first time in Dublin, especially if you’re just visiting for a weekend, you might feel a bit overwhelmed about where to begin and how to really make the most of your time to experience the best that the city has in store. Never fear. Marco Polo and I are here to help you out. Marco Polo, you ask? The famous explorer? Well, kind of – The Marco Polo Dublin guide, stuffed to the gills with useful information. It’s a real gem when it comes to maximizing your time and planning your trip. Each part of the city is handily dealt with in separate sections. It’s easy to see at a glance which attractions are close to each other, how to get to them, and where to find great food without going out of your way. Navigating and finding your way around has never been easier.” Find out more on whereistara.com. London Spiral Guide: “There’s just so much to see and do around London! You could spend months and months here without barely scratching the surface. Yet, when time is so short, we need to get to the point! What if you want to do something different, like that time I set out to discover the street art scene in Shoreditch? What if you want to see a different side of London, hangout in places that you won’t find in most guidebooks, see the city’s charmingly British eccentricity and hit up some of the most weird London attractions? You could spend hours searching for tidbits online or alternatively arm yourself with my advice and a copy of the Marco Polo London spiral guide. Divided into sections for different parts of the city, each chapter has a handy map and suggestions on how to maximize your time, leaving you able to discover the different parts of London with ease. There’s also terrific digestible recommendations for places to eat and drink in here, to stop you feeling overwhelmed from all the wonderful dining options in London!” See the full post on teacaketravels.com. When in Rome, eat as the Romans do! Roman food is based on its ancient past and demonstrates simple, yet delicious cuisine! Buy the Rome Marco Polo Guide. What’s the best thing you have ever tasted in Rome? Comment below, tweet us @MarcoPoloGuides or tell us on Facebook. Rome is notoriously expensive with its gourmet restaurants, famous landmarks and fashionable designer shops. However with Marco Polo’s top money saving tips you can have a holiday to remember, without splashing the cash! In many state museums, you get free admission or a considerable discount if you are under 25 and from the EU. The same applies to those over 65. Don’t forget to take ID! It’s free to visit magnificent monuments like the Pantheon, the spectacular Trevi Fountain and the Colosseum. Charges will apply for some attractions if you want to go in, but the best views are usually from the outside anyway! Sistine Chapel for free: If you want to see the world’s largest art collection, Raphael’s Stanze and the Sistine Chapel without paying a penny: on the last Sunday of the month there is free admission to the Vatican Museums (9am–12.30pm). Unfortunately, at this time they are even more crowded than usual… because it’s free of course! Drink your espresso, cappuccino or orange juice at the counter. Served at a table, especially around the tourist haunts, it can be three times as expensive. You can get a quick refreshment or cup of coffee for very little money at the souvenir stand run by nuns in the dome of San Pietro. Affordable apartments and studios are on offer at www.friendlyrentals.com/Rome and www.only-apartments.com. Bargains like a 4-room flat for 6 people at 180 euros near the Vatican Museums, however, book early as they tend to sell out very fast! Designer fashion, sometimes at half price: Discount dell’Alta Moda (Via del Gesù e Maria 14–16 | Metro A: Spagna, bus 117). Rome’s beach fans and clubbers know the way. The 20-mile trip on a local train to the beach resort of Ostia costs only 1 euro, next to nothing. In the evenings until 10.30pm a normal Metro or bus ticket will take you to the hip resort Lido di Ostia, where you can hit the club scene. The first train back in the morning leaves at 5.18am. Lovers of archaeology take the same train and get off at Ostia Antica to see a city of ruins. You can stroll beneath pine trees along streets of ancient shops, past the forum with its temples and baths, dwellings, warehouses and the theatre. On the square behind the theatre you can even see an example of ancient sponsoring: nymphs, sea monsters and ships giving advertising space to the commercial enterprises that financed the theatre – all of which already existed in Augustus’ time (Tue– Sun 8.30am until one hour before dusk | Admission 4 euros). Top 10 travel photos from around the world – as chosen by Marco Polo photographer Tim Kelly. Tim and his faithful camera have been travelling around the world together for over three decades. Well, the camera may have changed over the years – but Tim’s eye for detail certainly hasn’t – capturing the spirit of a destination in one single shot. Leave a comment below, tweet us@MarcoPoloGuides or tell us on Facebook.